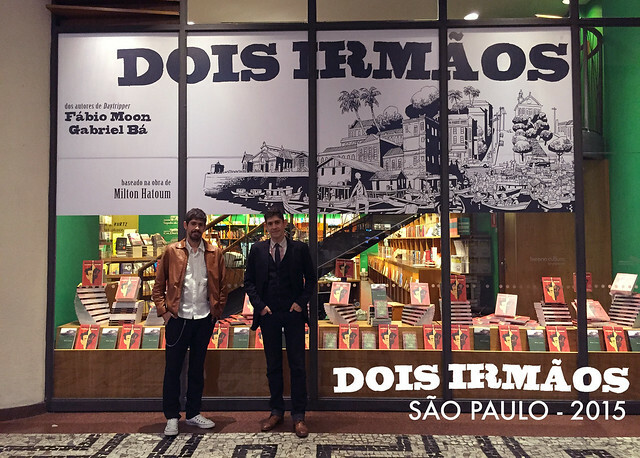 Want to catch up with us outside of Brazil? Want to know what we're currently working on and need to ask us in person? Maybe you have some books to sign, or just want to share a little love for comics? These are the following international trips we have ahead. Back to work, and see you around the world. Two Brothers! In France and Brazil, so far. 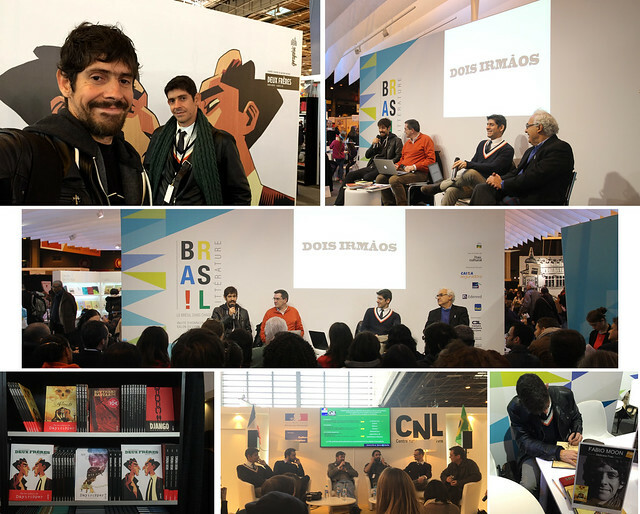 Our new graphic novel, Two Brothers, is going to be published by Dark Horse in October, but it has already been released in Brazil and in France in March. 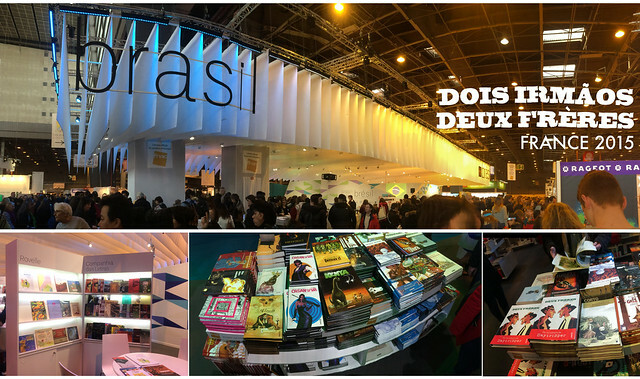 We've been to France to release it, also to represent Brazil in the Salon du Livre de Paris, since the country was the guest of honor. 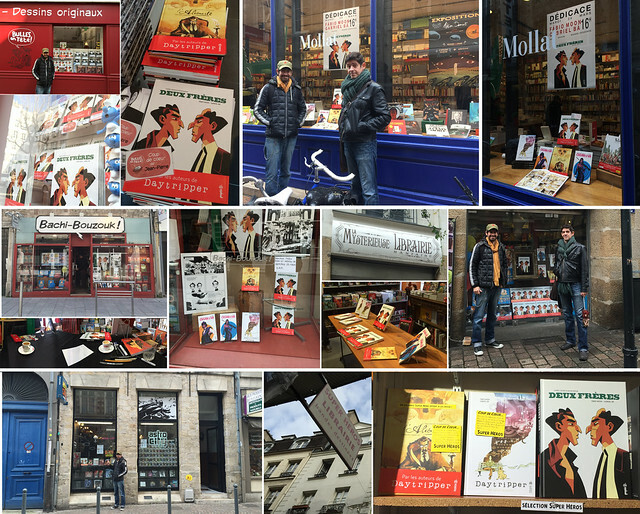 We toured for a week and visited Bordeaux, Pau, Nantes, Lille and Paris and all the signings were amazing. I will try to write a more detailed report here in the near future. 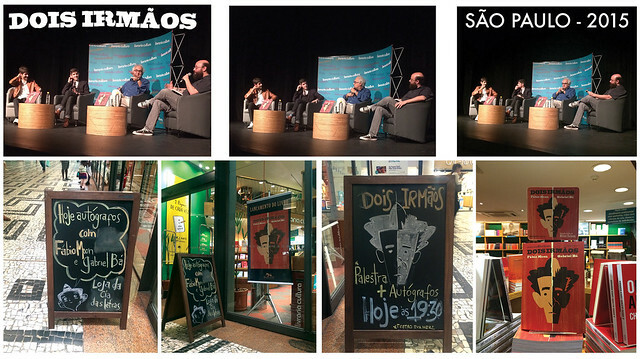 The release of the book here in Brazil was a blast. We always fear no one will show up, but it always surprises us how much readers and fans we have and how much love they have for our books. We have a big tour ahead of us and we are thrilled to travel with this book all around the country. There's still a long way to go, but I can't wait for the book release in the U.S. We have comics to work on until then (Casanova? Umbrella Academy? ), and we love comics. By the way, you can already order Two Brothers on Amazon, Barnes and Noble and other online stores. And then wait until October. It's just around the corner.